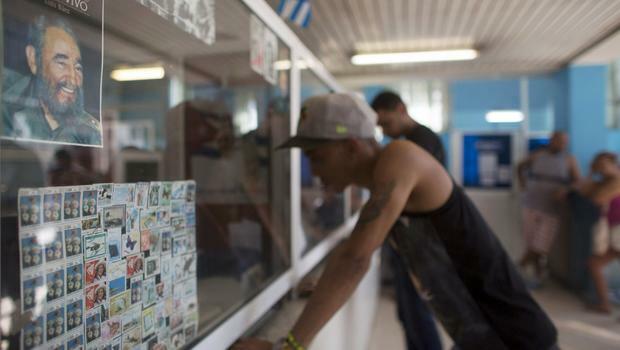 The US and Cuba have agreed to restore a direct mail service, suspended 52 years ago at the height of the Cold War. A pilot postal service will be launched shortly, but it is not clear when a full service will be implemented. The move is part of the rapprochement process that was announced by presidents Barack Obama and Raul Castro on December 17, 2014. The United States and Cuba have since restored diplomatic ties and reopened embassies. The two countries began re-establishing postal links in 2013, before the change of policy was announced. Mail and parcels between Cuba and the US have been re-routed through a third country, usually Mexico or Canada. In March, direct phone connections with the US were restored after more than 15 years. Previously, phone calls also needed to go through a third country. While delays in the mail services have caused frustration for decades, their use in the 21st Century is becoming limited. Couriers carry mail and small packages between Miami and Havana on a regular basis. As Cuba gradually opens up to the internet, new generations of Cubans are writing fewer letters than their parents and grandparents used to. Despite remarkable improvement in relations in recent years, Cuba says that relations will not be fully normalized until the US pulls out of Guantanamo Bay and lifts an economic embargo imposed on the communist-run island. The US broke off diplomatic relations with Cuba in 1959 after Fidel Castro and his brother Raul led a revolution toppling US-backed President Fulgencio Batista. Cuba established a revolutionary socialist state with close ties to the Soviet Union. The following year, the US imposed a trade embargo covering nearly all exports to Cuba. This was expanded by President John F. Kennedy into a full economic embargo that included stringent travel restrictions. The embargo is estimated to have cost the Cuban economy more than $1.1 trillion and the US economy $1.2 billion a year. President Barack Obama has also called for the embargo to be lifted, saying it had “failed to improve the lives of the Cuban people”. However, the change needs to be approved by the Congress, which is controlled by the Republican opposition.